The youngest of three children, little seven-year-old Aubree might be the strongest of all three siblings. In September 2013, the Willis family received a diagnosis that Aubree had High Risk B-Cell Acute Lymphoblastic Leukemia. Throughout her treatment at Palmetto Health Cancer Center in South Carolina, Aubree always had a smile on her face and a giggle that won over every nurse and doctor on the floor. When she wasn’t laughing or smiling, Aubree was coloring, playing outside and completing jigsaw puzzles with her sister Kylie. Aubree has big dreams for life, and being a horseback rider is one of them. This idea took root after participating in the Curing Kids Cancer Pony Days with the University of South Carolina Equestrian team. 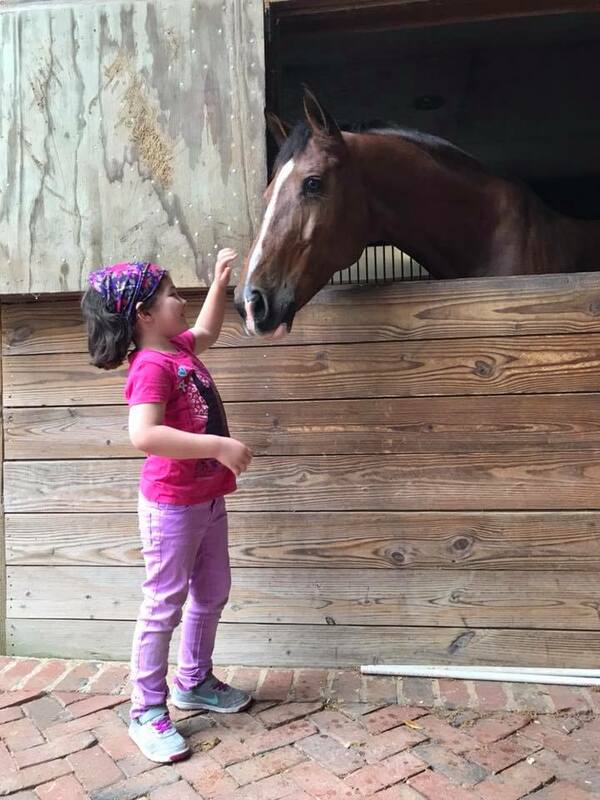 The Joy in Childhood Foundation gave a grant to make Pony Days possible for kids like Aubree so they could ride, groom and relax with the horses. Curing Kids Cancer is committed to finding cures for all childhood cancers in our lifetime. As part of their work, they fund outpatient pediatric cancer centers in Atlanta and South Carolina which provide sibling support programs, family meal programs and mini camps for patients. We are proud to support parents like Aubree’s by creating joyful moments for children when facing difficult times. Aubree has now been cancer free for two and a half years — and that’s a reason for all of us to smile.